A RUP LIFE: Best of Halloween with NCircle Entertainment! Best of Halloween with NCircle Entertainment! October is here and that means it is time for Halloween! We do things a little differently at the Rup House. We try to keep things on the not-so-scary side. So the kids get to dress up but we don't do anything gory or scary. We go trick-or-treating for a little bit through the neighborhood then come home and pass out candy. It has worked well for us these past 17 years. I love to put on a big pot of meatballs for when family and friends stop over. There is something warm and hearty to eat along with the candy! Another tradition we have is pulling out our Halloween Movie collection. I love having movie night with the kids and having holiday movies for the seasons is a perfect addition. 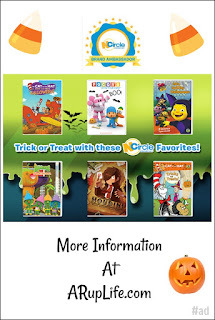 NCircle Entertainment has a lot of shows from preschool on up that fit that fit in perfect for our movie nights! Cat In The Hat: Knows a Lot About Halloween - DVD - The Cat in the Hat takes Nick and Sally on the craziest Halloween ride filled with howlers and shockers and scary fandangle's, big laughs and music and fun from all angles! 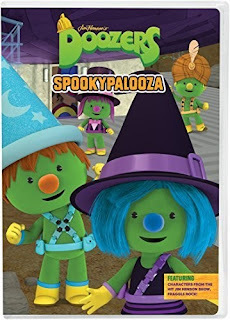 Their fright-filled adventure takes them deep into the Oooky-ma-kooky Closet where Nick and Sally discover the very best Halloween costumes ever. It's Halloween! Join Sid and his friends as they discover how bats catch mosquitoes, why spiders are expert engineer web builders, and how skeletons make up the foundation of our bodies. The kids dress up to celebrate Halloween at school, and Teacher Suzie leads them in a special Halloween parade song to show off their costumes! 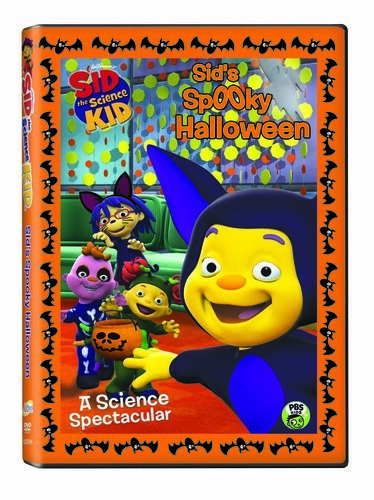 With Sid the Science Kid, Halloween can be spooky and scientific! 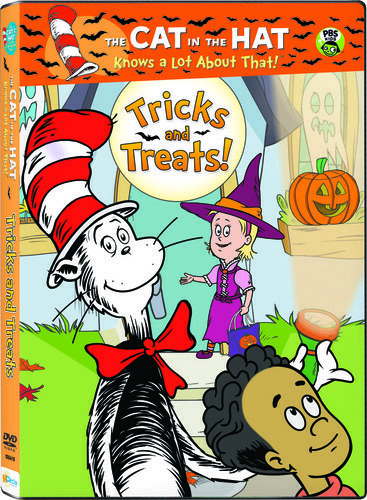 A new spooky adventure this DVD brings, with the Cat, Nick and Sally, Fish and the Things. Meet the eeriest critters you've ever seen, arrived just in time for Halloween. There will be lots of tricks and of course, lots of treats, to share with the animal friends you will meet! 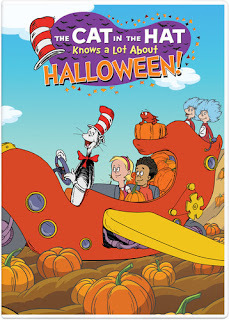 There's coconut crab, spider monkeys and bats, and plenty more fun with the Cat in the Hat. Welcome to Doozer Creek where the Doozers live! They're green. They're cute. They're three inches tall and they're full of energy, ideas, and enthusiasm! It's Spookypalooza! The time of year when all Doozers get together to spook each other. The Pod Squad makes the spookiest pumpkin ever a cool Pumpkin Doozer made by stacking three pumpkins together. But when their new invention starts rolling all around town, the Doozers have to find a way to reign in their spooky creation! Enjoy four STEM-based adventures with the Doozers! Join Pocoyo and his friends on seven playful adventures. 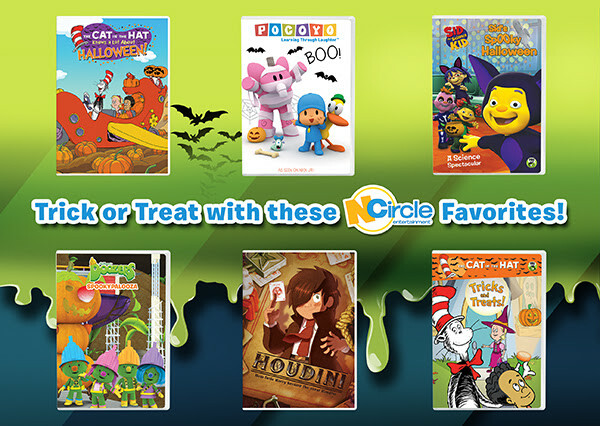 Whether it's playing a new game called Boo!, enjoying a monster mash party or pretending to be Godzilla & King Kong, every day is fun & engaging with Pocoyo and his friends! Twelve year old Harry has lived and breathed magic since his early childhood. The problem is that his hometown, Appletown, is not the best place for his natural talent to blossom. Although he rehearses endlessly in his parents' barn he realizes that his dream is just that a dream. One day Harry catches the glimpse of a chance: the New York mayor has announced a magic competition due to the official opening of the Statue of Liberty. Unfortunately, there is a slight problem with this competition, in order to try out one must be trained by a real magician. Poor Harry doesn't know a single one. Until Harry s father runs into the magician, the Great Tesla, in town and Tesla promises to see Harry. Despite the young boy s lack of knowledge Tesla spots talent, creativity and boldness in Harry. He decides to give him a chance and invites him to his own home, accompanied by his niece, Beth, and his assistant, Amrold. Tesla will teach Harry the basics of magic, his tricks but will also test him. Will Harry be strong enough to become a true magician? Interested in these titles? 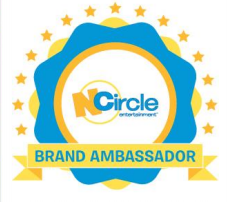 Visit NCircleEntertainment.com for more information! One lucky reader will win a selection of Halloween DVDs from NCircle Entertainment! I like taking a trip to the orchard for apples in fall. Definitely picking pumpkins at a local farm! My nephew would be excited for Cat in the Hat - tricks and treats! 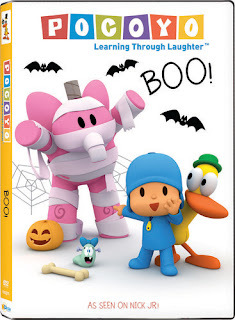 Pocoyo: Boo! on DVD looks so cute my nephew would love to see it. We love Fire Prevention and and pumpkin hayrides! My kids would love the aid the science kid DVD most. My favorite fall tradition is going to a pumpkin farm & patch. I like making caramel apples. Spending time with in the fields during corn/soybean harvest. 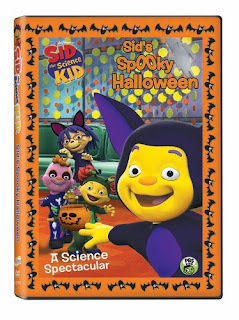 My daughter likes Sid the Science Kid so we'd be especially looking forward to that one. 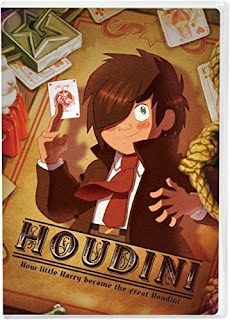 I think the Houdini movie is the one I'm most excited about. We enjoy going to a couple haunted houses in the evening and then handing out candy later. Making caramel apples with my granddaughter. We like to go apple picking. My daughter and I are most excited about Pocoyo: Boo! My favorite fall tradition is going to a pumpkin patch every year with my family.